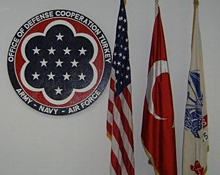 The 717th AB Squadron's mission is to be the premier support provider to the entire Ankara Mission community with a vision of enabling an environment where partnerships will grow. The 717 ABS provides logistical support to AAFES, Commissary, and DoDDS. We manage activities of the Ankara Air Station, Coordinate customs clearances for import, export, and transfer of all equipment, munitions, and vehicles within Turkey.